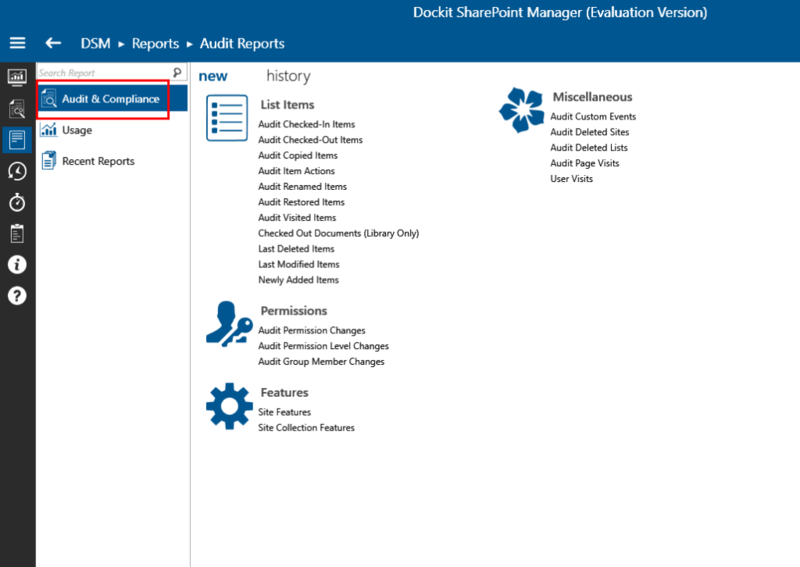 Included Audit & Compliance reports for SharePoint Online (Office 365). Introduced Farm level authentication (Connect as Administrator (Optional)). 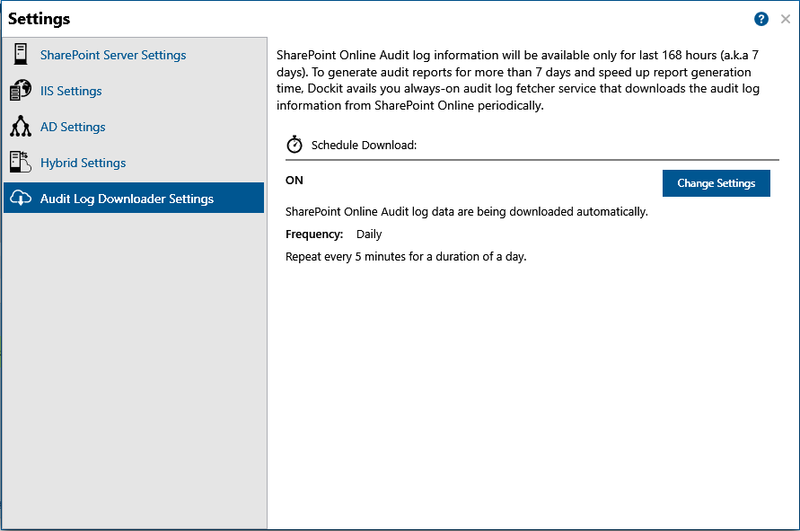 Introduced “Audit Log Downloader Settings” feature to download the audit logs from SharePoint Online periodically to generate the audit reports for more than 7 days. Provision to switch Site Collection for generating reports without start over. This new version has ‘Audit & Compliance’ category reports for SharePoint Online (Office 365) in addition to ‘Usage’ category reports. The ‘Audit & Compliance’ reports displays details about the changes that have occurred in the given time period. We have introduced Farm level authentication feature in the application to skip the authentication process when connecting to another site collection in any web application of the connected farm. 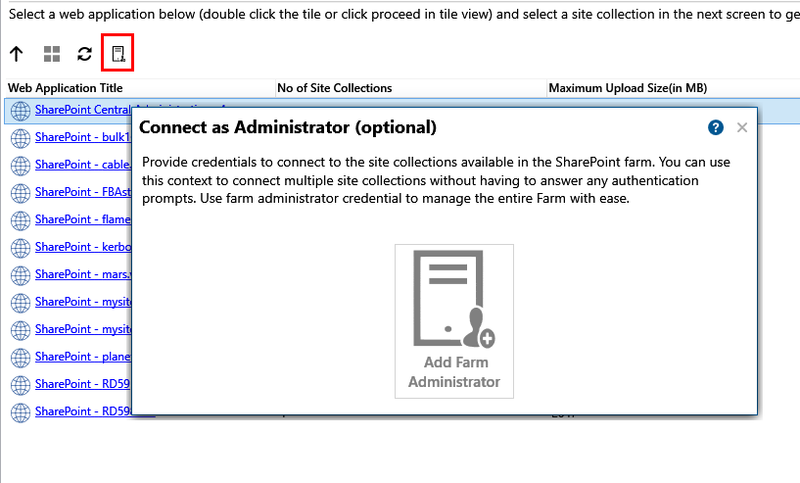 Once the Farm Administrator account is added in the application, you do not have to provide the credential again, when you wish to generate report for other web application / site collection of that SharePoint server in the future. The added account will be used to access the entire farm contents in the application. You can also remove the Farm Administrator account in the application, if it is no longer needed. By default, SharePoint Online (Office 365) reports will be generated for last 7 days only. This is due to ‘Office 365 Management Activity API’ restriction in retrieving the audit data. In order to overcome this limitation and view the reports beyond 7 days, we have included ‘Audit Downloader Settings’ feature. This feature will download the SharePoint Online logs at the scheduled intervals, to the application database. The report data will then be retrieved from the downloaded logs as stored in the application database, while running the SharePoint Online report. You can set the frequency while scheduling the Audit log downloader so that the download process will be triggered at the given frequency. You can directly change Site Collection in the Web Application, without signing out and connecting to the Site Collection again in the application. 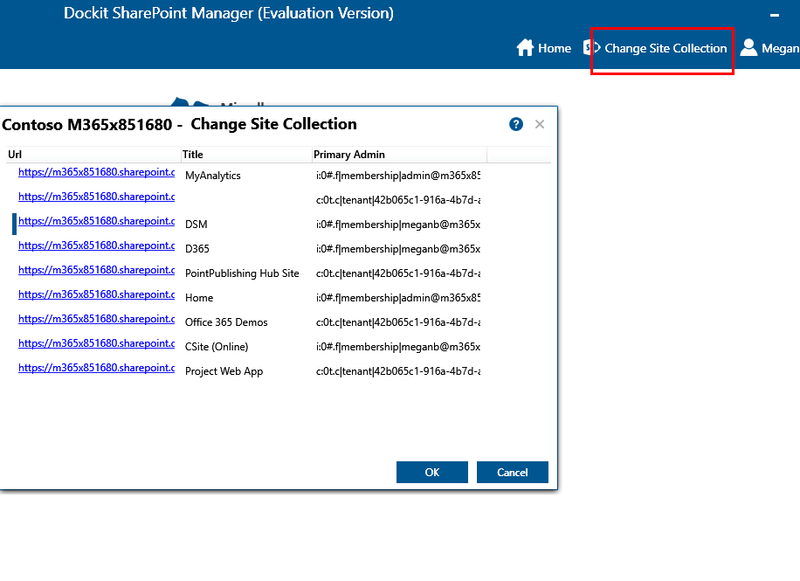 The ‘Change Site Collection’ feature lets you to change to another Site Collection instantly by displaying the list of Site collections in the Web Application and generate the reports for a different Site Collection. Download Free Trial of Vyapin’s SharePoint Management Suite NOW!